Hi all, I just sent an email to my few customers stating that I’ll be moving on from developing Polystack hardware and software. The few sales I’ve made don’t warrant continuing working on it. I’d like to thank my customers for giving me a chance. Thanks also to all of those who listened when I got excited about the idea, those who contribute to the RC quadcopter community and those who personally contributed to Polystack. Now, in the spirit of openness (to go along with the software and hardware), I’d like to talk a little bit about what I learned so that those of you with other crazy ideas can avoid the mistakes I made and understand why taking the risk is worth it. The biggest thing I’ve learned is that modularity is expensive! I didn’t internalize it until the reviews of the Polystack came in and they all commented it was too expensive. What made it expensive? The connectors on the board added a base cost of ~$2-5 to every single board which was then multiplied by at least three. 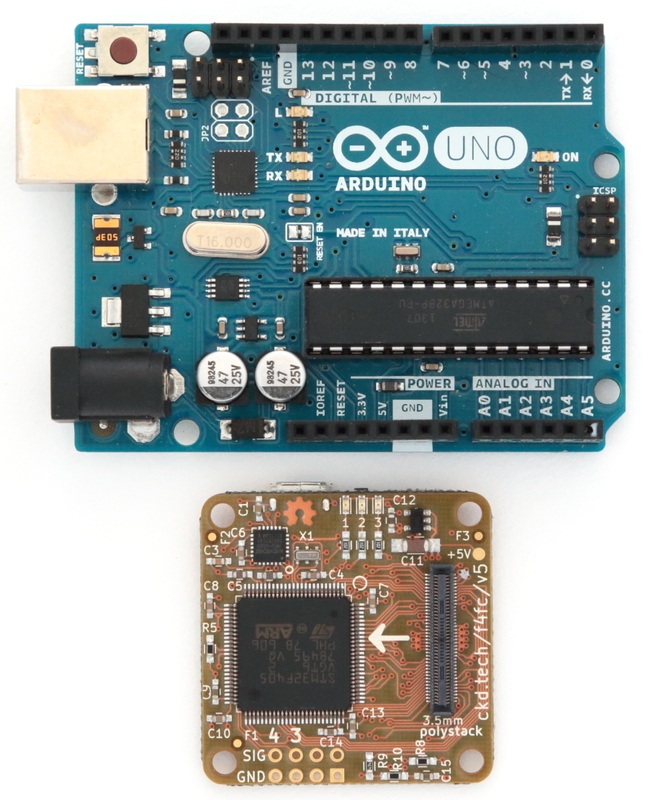 A $15 bill of materials baseline alone makes it impossible to compete with a $30 retail flight controller. Before adding any other components, the retail cost for the full package is $37 minimum. The whole premise is expensive. I didn’t realize this though until after. I just thought that having great, easy to setup IO would be amazing and it is. It’s just not amazing enough (it turns out) to justify the added expense. The current trend of all-in-ones provides easy setup without the added cost of modularity. Despite having this failure, I would do it again in a heartbeat. I learned a ton and engineering is fun. Just make sure that if you want to make business out of it, you are genuinely onto something as early as possible. I could have seen the signs that Polystack was too expensive as I talked with people about tentative pricing but I ignored them because I love engineering. Business could wait. The few sales on launch day quickly told me I had missed the mark. I was disappointed. I had spent eight months of my life working more than full-time to design, prototype, tweak, test, program, contract manufacture, package, label, photograph and sell all of the Polystack boards. But, I still love engineering and believe Polystack is well engineered. It’s just solving a problem few people have. (whoops) Despite weak sales, I learned a ton about electronics design and programming microcontrollers. I feel closer to the CPU and computer engineering than I ever did writing server software at Google. I can now work on complete products from hardware to software. In the end not all is lost, thanks to MacroFab my production batch wasn’t so large as to bankrupt me when it didn’t sell. With my newfound hardware skills I looked for jobs and began working for Adafruit Industries at the start of September. 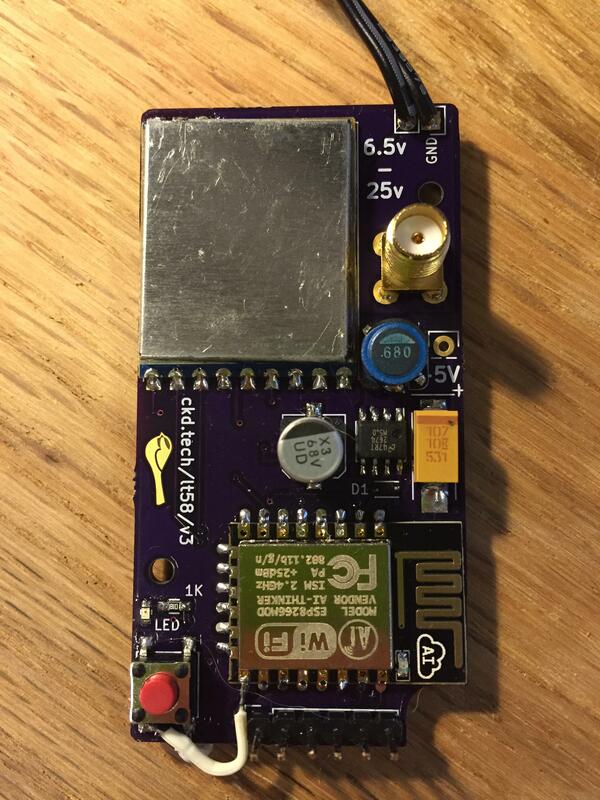 I’m working on bringing MicroPython to more hardware. I love that it’s all open source work you can find on GitHub. I’m also really excited to have a diverse set of extremely talented co-workers to complement my engineering skills after spending so much time working on my own. Even though the production batch was small, there is still plenty left. I’d hate to see it go to waste is I’m selling the remaining stuff at a large discount. Note though, that it will no longer be supported and once its gone its gone. You can still drop me a line at support@chickadee.tech if you have any questions or comments. tl;dr Betaflight 3.0 is now available for the Chickadee Tech F3FC and F4FC. Still haven’t bought a Polystack? Buy one (or more) to celebrate 3.0 with 20% off when you enter BETAFLIGHT30 in the cart. I’m not going to recap everything thats in Betaflight 3.0 so check out the release notes. I will cover the largest addition though because it had a huge impact on Polystack development. 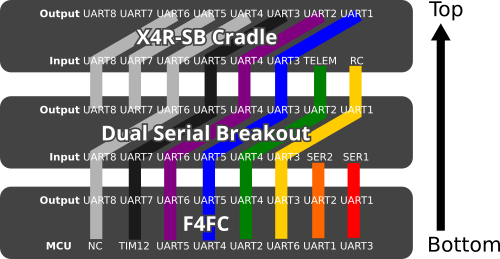 The key feature of Betaflight 3.0 is F4 support. What does that mean? Well, prior to 3.0 Betaflight only supported F1 and F3 series microcontrollers from STMicroelectronics. (You can see their full line here.) One of the key differences between the F4 and the F1 and F3 is that its clock speed is 168MHz versus 72MHz. This means that Betaflight can do more in the same time as the F3s can. This also means that the same code takes less time to run. So, the time between the gyro read and PID output can be twice as fast. This is a big step for Betaflight. When I was testing the F4FC in the spring I used Raceflight. At the time it was still open source but soon after they switched to a closed source development model. They continue to develop in a closed way. This was an issue for me, I created open source hardware and wanted to run open source software on it too. I wanted to be able to support Polystack’s software which I wouldn’t be able to do with Raceflight. So, I reached out to a couple of the other F4 flight control devs and double checked with Boris that he’d accept pull requests with F4 support. He said yes. Jason Blackman, developer of the BluejayF4, did the vast majority of the work. He is a rock star. 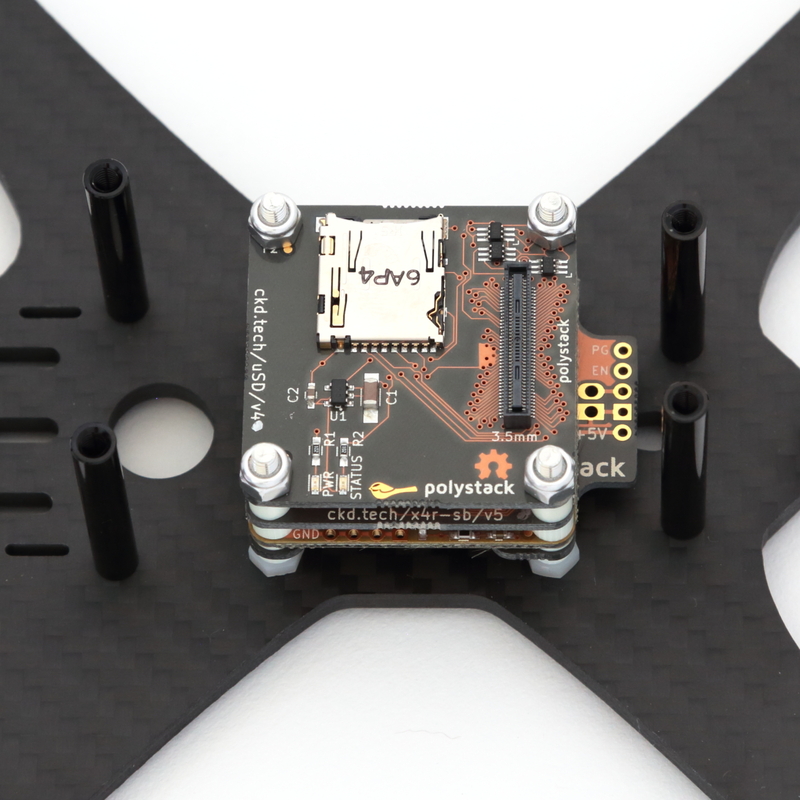 If you don’t want a modular flight controller I suggest you support him for his awesome work. Overall, Betaflight is a great open source software project. There are many rock star developers who work on it and deserve mondo credit. Its incredible how far its come. Please check out the release notes which list some (but not all) of the awesome Betaflight contributors. This is what its all about.